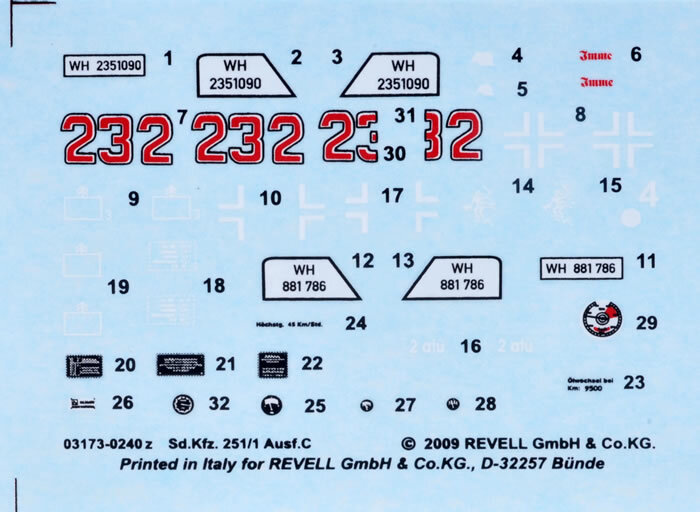 Stock Number and Description Revell No. 03173 Sd.Kfz. 251/1 Ausf. 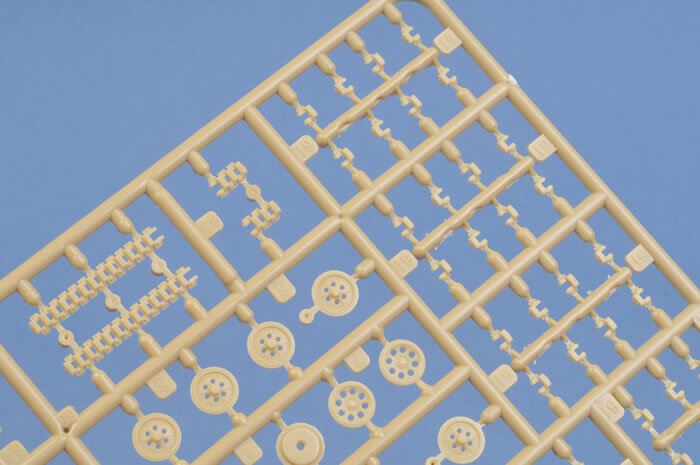 C.
Media and Contents: 171 tan coloured plastic parts on 4 sprues, decals for 2 vehicles, a 12 page, A4 sized instruction booklet with history, parts plan, 26 build diagrams and 1 page of paint/decal instructions. Advantages: Cleanly moulded with no flash or sink marks, reasonably detailed and good decals. Excellent L&L tracks and the rockets, their wooden launchers and mounts look particularly good. Disadvantages: Compared to Dragons offering, this kit lacks interior detail like weapons and their racks, rear door hinges look over scale, vision block are all closed and the front seats look under sized although not as bad as the Italeri/Esci kit. 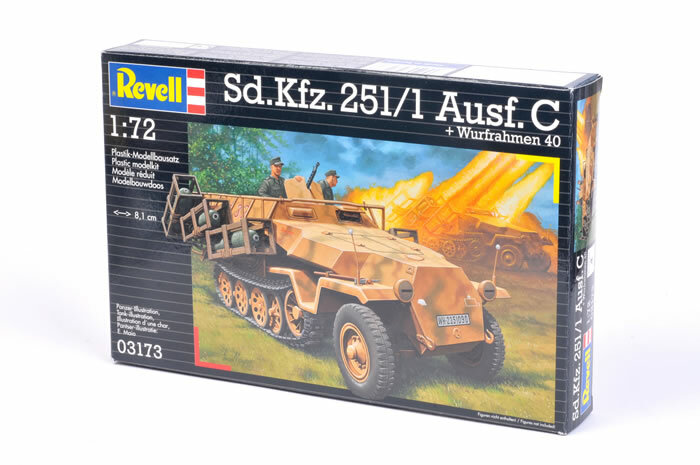 If the Dragon kit did not exist, we would rave about this one from Revell. The Sd.Kfz. 251 family of light armoured half-tracks was based on the successful Sd.Kfz.11 artillery tugs and were used by German forces in every theatre of the war. The Ausf. C version was designed before the war and the 251/1 was the base vehicle used as an APC or gun towing vehicle and some had antitank guns, anti aircraft guns or rocket launches mounted on them. This new kit by Revell is not quite as detailed as Dragon’s offering but will be far easier to build. 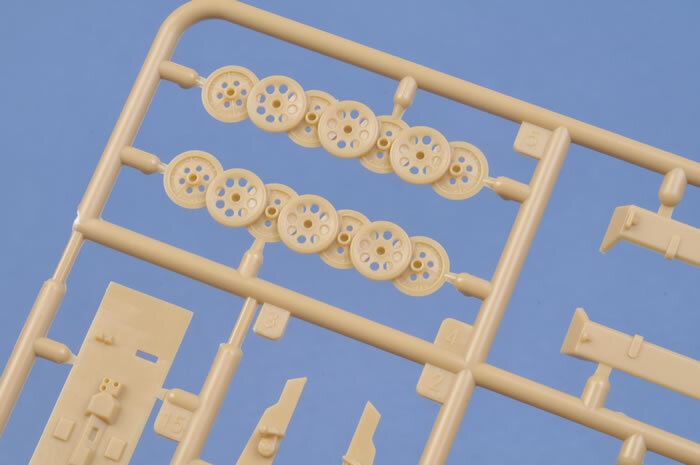 With its link and length tracks and the ability to build the tracks, wheels and suspension as a unit, this kit should be suitable for even relatively inexperienced modellers. 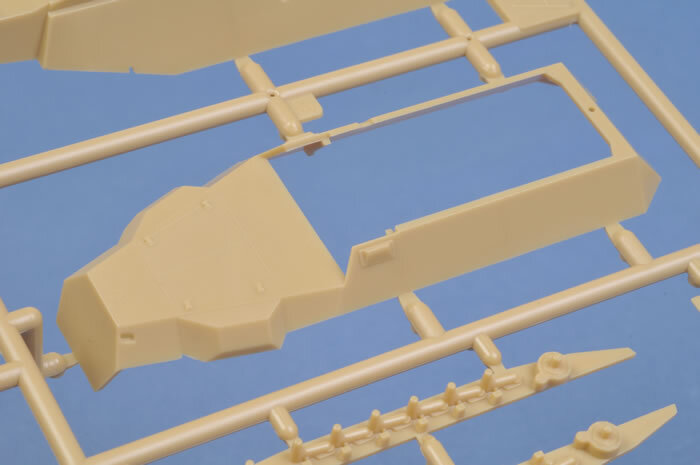 Compared to the Italeri (ex-Esci) 251, the mouldings are clean and flash free with no distortion and a lot more detail. The rear doors can be moulded open but considering the lack of interior detail against Dragon’s model it may be better to leave them closed. The Wurfrahmen 40 (rockets) are very well done with separate projectiles, launch frames and mounts. These will need to be painted before construction and some parts are very small so care will be needed. However, the kit can be built without the rockets as a standard Sd.Kfz. 251/1 Ausf. C.
If the Italeri kit was rated as 1 and the Dragon as 10, in my opinion, this kit from Revell would rate as an 8, not quite as good as Dragon’s but far better than Italeri/Esci.